​Our newsletter is published at the beginning of the month. Here are your headlines from the month of November. Do you need to take the Series 51? In this two-day crash course, we'll use lots of examples and practice questions to teach you the ins and outs of LGIPs and 529 plans. Take a trip to beautiful Portland, Oregon and let us help you pass this surprisingly difficult exam. 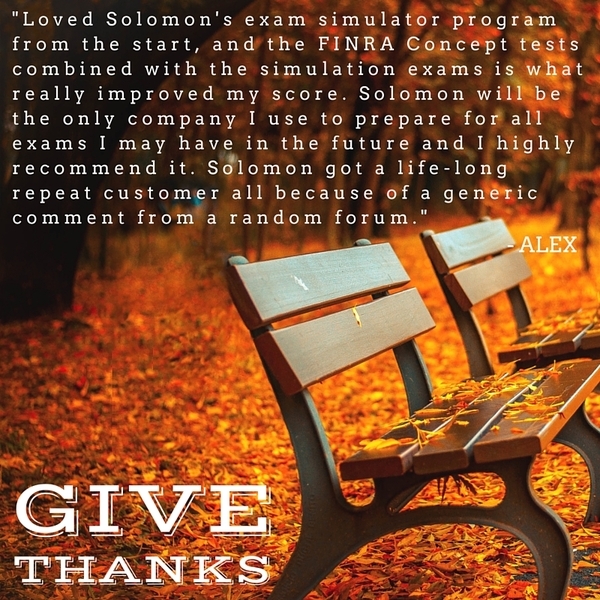 "Loved Solomon's exam simulator program from the start, and the FINRA Concept tests combined with the simulation exams is what really improved my score. Solomon will be the only company I use to prepare for all exams I may have in the future and I highly recommend it. Solomon got a life-long repeat customer all because of a generic comment from a random forum." Congratulations Stephen Z., this month's Study Question of the Month winner! *December's Study Question has been posted. Remember to submit your answer to info@solomonexamprep.com to be entered to win a $10 Starbucks gift card. November 3, at the 2015 National Society of Compliance Professionals Annual Conference, in National Harbor, MD, FINRA gave a presentation on its proposed restructure of the FINRA qualification Exam Program. The primary presenter was Joseph McDonald, the FINRA staff member in charge of the Qualification Exam Program. Series 50 Materials - Now Available! Solomon Exam Prep has been diligently preparing study materials for the Series 50 exam since the MSRB’s announcement of its new Municipal Advisor Representative Qualification Exam. An initial pilot exam will be taking place from January 15, 2016 - February 15, 2016. We are happy to announce that our Series 50 study materials are now available to give you plenty of time to study before taking the pilot exam! 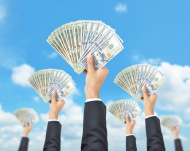 Series 50 Municipal Advisor Study Materials!